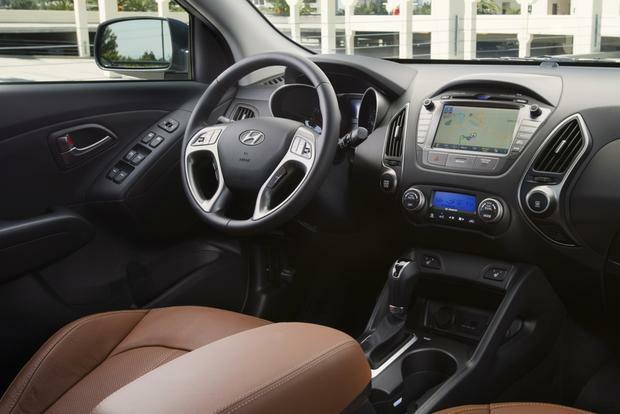 Compact, stylish and loaded with high-end features, the 2019 Hyundai Tucson has an upscale feel at a very basic price point. Smartly styled and loaded with features, the 2019 Hyundai Kona offers the versatility of a small hatchback disguised as a compact SUV. Hyundai refreshed its Tucson crossover for 2019, giving it more technology and tweaking the styling. 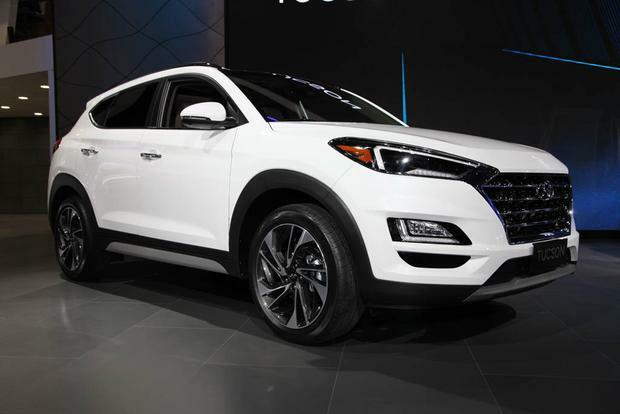 2015 vs. 2016 Hyundai Tucson: What's the Difference? We're explaining the key differences and similarities between the latest 2016 Hyundai Tucson and the outgoing 2015 model. 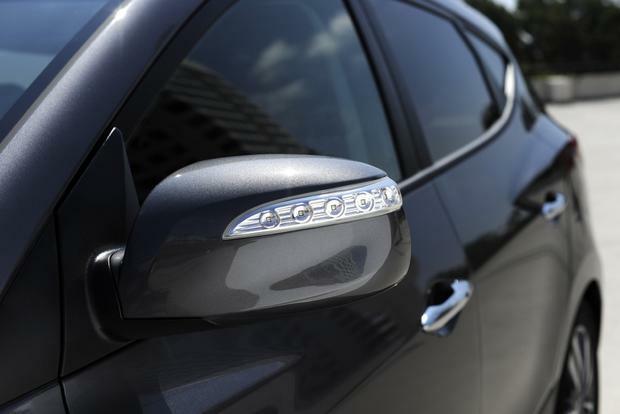 Residents of Los Angeles can lease the new 2015 Hyundai Tucson FCV for $499 a month, including all the hydrogen they'll need. 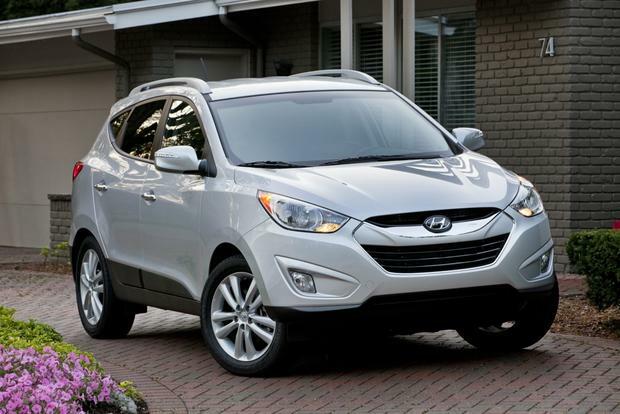 The 2013 Hyundai Tucson may be small on the outside, but it's big on features, value and style. 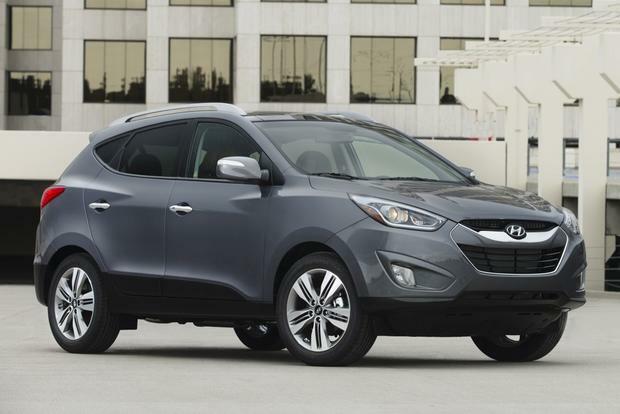 The 2014 Hyundai Tucson isn't your typical jack-of-all-trades compact crossover. The reason is that Hyundai also has a larger affordable crossover, the Santa Fe, so the Tucson doesn't have to be everything to everyone. Instead, the 2-row Tucson trades on its tidy dimensions, which give it an unusually nimble, sporty feel. It's a crossover for folks who aren't ready for a hulking family vehicle just yet. Don't get us wrong, the Tucson still provides enough room for four full-sized passengers to ride in comfort. And while cargo capacity is unimpressive by segment standards, there's a useful amount of space when you fold down the rear seat backs. Our only consistent complaint concerns what's under the hood, as the base 2.0-liter engine fails to provide confident passing power, even with an overhaul for 2014 that adds direct fuel injection. The 2.4-liter engine, which receives a similar overhaul this year, remains the pick of the litter. Additional changes for 2014 boost the appeal of Hyundai's smallest crossover. Revised exterior styling gives the Tucson a more upscale appearance, while the stripped-down GL trim level has thankfully been put out to pasture, making room for a new mid-grade SE trim that slots between the GLS and Limited. Because the GLS is now the entry-level Tucson, there's a lot more standard equipment, too. Overall, the Tucson remains one of the most pleasant crossovers at this price. It's up to date in almost every respect, and its manageable size makes it an enticing alternative to larger rivals. The base GL trim level and its manual transmission have been discontinued, while a new mid-grade SE trim joins the fold. The two available engines have been redesigned to include direct fuel injection, and the base 2.0-liter version can now be equipped with all-wheel drive. Other changes include refreshed exterior styling with LED running lights, a new 4.3-inch touchscreen and a larger 7-in touchscreen for the updated navigation system. The Tucson GLS features a 2.0-liter 4-cylinder engine rated at 164 horsepower and 151 lb-ft of torque. The SE and Limited get a 2.4-liter unit that's good for 182 hp and 177 lb-ft. A 6-speed automatic transmission is standard on every 2014 Tucson, as is front-wheel drive. All-wheel drive is a $1,500 option. Fuel economy with front-wheel drive checks in at 23 mpg city/29 mpg hwy for the 2.0-liter engine and 21 mpg city/28 mpg hwy for the 2.4-liter engine. With all-wheel drive, those numbers drop to 21 mpg city/25 mpg hwy and 20 mpg city/25 mpg hwy, respectively. 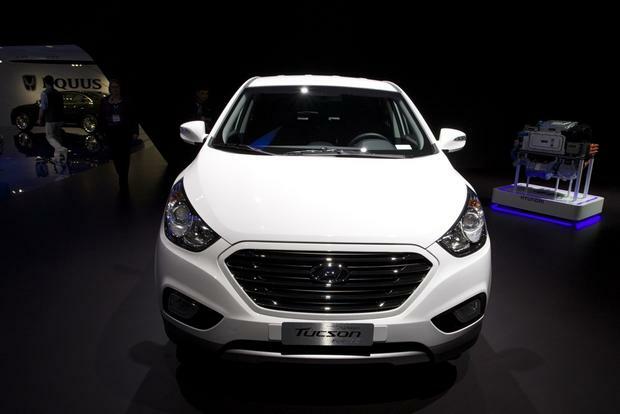 The 2014 Hyundai Tucson is offered in three trim levels: GLS, SE and Limited. The GLS ($22,305) comes with the 2.0-liter engine, 17-in alloy wheels, LED headlight accents, a rear spoiler, cloth upholstery, air conditioning, power accessories, a height-adjustable driver seat, reclining and split-folding rear seat backs, Bluetooth phone connectivity, a tilt-and-telescopic steering wheel with auxiliary audio controls and a 6-speaker sound system with iPod/USB integration and satellite radio. The SE ($24,355) adds the 2.4-liter engine, automatic headlights, fog lights, heated exterior mirrors, bodyside cladding, roof rails, a 4.3-in touchscreen, an 8-way power driver seat, heated front seats, cloth and leatherette upholstery, illuminated front vanity mirrors and floor-mounted rear climate vents. The Limited ($27,055) boasts 18-in wheels, chrome exterior accents, keyless entry with push-button start, dual-zone automatic climate control, an auto-dimming rearview mirror with HomeLink, Hyundai's BlueLink telematics suite, a rearview camera, a leather-wrapped steering wheel and shift knob and a retractable cargo cover. Limited options include LED taillights, a panoramic sunroof, a 7-speaker premium sound system, HD radio and a revised navigation system with a 7-in touchscreen. 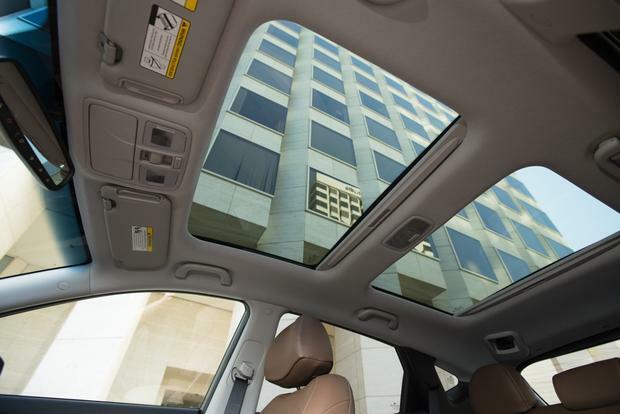 There are no options on the other Tucson trim levels. 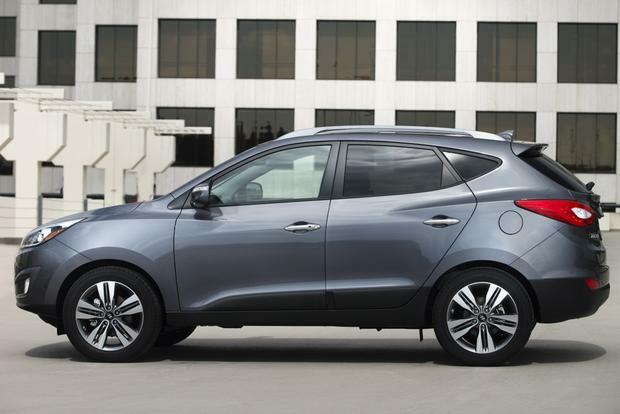 The 2014 Hyundai Tucson comes with standard stability control, 4-wheel anti-lock disc brakes, active front head restraints and six airbags (front, front side, full-length side curtain). Hyundai's BlueLink telematics, standard on Limited, provides enhanced emergency assistance, stolen vehicle recovery and much more. In government crash testing, the Tucson garnered four stars out of five overall, including four stars for frontal impacts and five stars for side impacts. The independent Insurance Institute for Highway Safety awarded the Tucson its highest rating of Good in every category except the new small overlap front test, where -- like many current vehicles -- it earned a Poor rating. It's refreshing to hop into a Tucson and remember how fun a genuinely compact crossover can be. 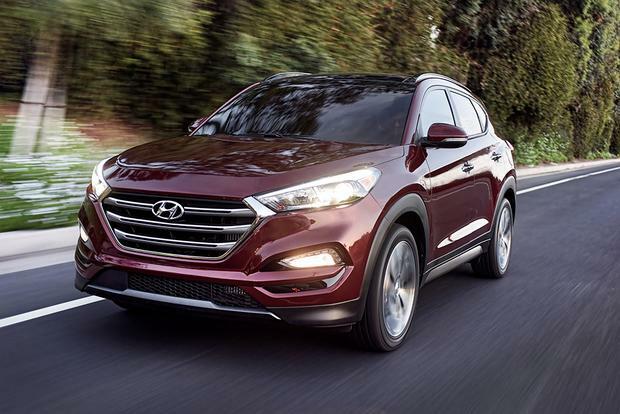 With its 103.9-in wheelbase and 173.2-in overall length, the Tucson is actually smaller than the compact Elantra sedan, so it's no wonder that this thing drives like a hatchback on its tiptoes. The Tucson does ride rather firmly, but we're not offended. Impact harshness rarely registers, and the payoff is that this little crossover can actually dance in the curves. Road noise can be an issue, however. There are definitely quieter crossovers in this class. Kia Sportage -- Mechanically similar to the Tucson, the Sportage boasts more angular styling and the availability of an awesome turbocharged 2.0-liter inline 4-cylinder. Mazda CX-5 -- Mazda's new compact crossover goes toe-to-toe with the Tucson across the board, and it's even more fun to drive. Volkswagen Tiguan -- If you're considering the Tucson Limited, know that the same money could get you into a decently equipped Tiguan, and the VW is both faster and generally nicer. The best value is the mid-grade Tucson SE, which doesn't cost much more than the GLS but adds a lot of neat features.